me and my wife are about to visit the US for the 3rd time in 2014 and cant wait to be back! We are going to explore a bit of the westcoast (again) and then go to Florida to spent some time on beautiful beaches. 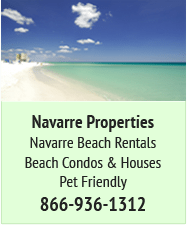 When we heard of the beautiful Emerald Coast, we chose Navarre Beach (and definately want to stay on the barrier island, not in Navarre "downtown") as our destination. 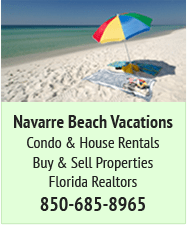 We will be in Navarre Beach in late September, but unfortunately can only stay one night ... and most (actually almost every) condo/house has a 3 night minimum around that time of the year. The only hotel on the beach, the Holidome, is no more (as everyone around here will know). My question is: Does anyone here know of any gulf front condos/houses that also allow a 1 night stay reservation in late September? Only restriction: We dont really like these high rise buildings (Navarre Beach Towers, Regency, Pearl etc. ), so if you know any small condos or even houses, then please tell us! We, of course, also wouldnt mind paying the whole cleaning fee. Hope someone can help us, and everyone have a great day! Last edited by nameless91 on Mon Feb 04, 2013 4:17 pm, edited 1 time in total. If only the good ol' Holiday Inn were still there!! If anyone here has an idea, please let me know! I would think you'd have a much better chance of sweet-talking a condo owner or homeowner into giving you a single night if that night is in the middle of the week. Your post doesn't say which day of the week you'll be in Navarre, but if it's a weekend night then I'd say your chances of finding anything on the island would be extremely tiny. If it's a weeknight then you have a marginally better chance. If worse comes to worst I'd recommend the Best Western. 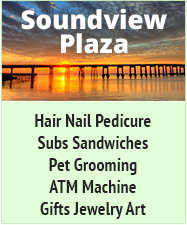 It is right on the sound and very near the foot of the causeway on 98. It ain't the island, but it is the next best thing. Now, technically they have a 3-night minimum too, but if you call and talk to the owner, C. Baker Clark, he'll almost certainly waive that for you. Nameless - if you call the management companies, they may book you one night on the beach even if the website says a three night minimum. If you call at the last minute (day or two before) you may have a better chance. Please realize that even if you only stay one night, a full cleaning fee will probably be assessed - many services charge $100-150 for cleaning, and it doesn't matter if you are in there for one night or ten. Then you will have the actual room rate, then taxes and other fees (not sure on how much that is). Owners who go through a management company get only the rate minus the commission (15-25% of the rate). Most guests understandably don't want to pay $300-400 for one night on the beach (cleaning fee + room rate + taxes and other fees). Most owners don't want to get next to nothing for their condo, especially if the one day is reserved far in advance - they may lose out on a guest wanting to rent for a longer period of time. You can try and book something now and see what's available - you may get lucky! I concur with Dolfnfan. If you are only going to be in Navarre for one night, I strongly suggest the Best Western. Get a, "Sound" view room and be done with it. Or one of the cabins at the Navarre Campgrounds (they are air conditioned with indoor showers. I say this for a couple of reasons. First, you are only here one night, so other than sleeping and showering, you will spend very little time in the room. Secondly, put your shorts on, a t-shirt, grab your beach towels and chairs and go hang out at the beach and the pier ALL DAY LONG. At the end of the day, shower off at one of the fresh water showers and still hang out at the Pier Bar or over at Juana's. Everybody else is wearing the same thing. Take a shower when you get back to the room and boom....you have your day with no stress. Nameless - If I might break in here and suggest that you extend your stay in Navarre by a couple more days, that would solve your dilema real fast. One day here is not enough. So much to see and take in ... you really owe it to yourself to have an extra couple of days here. This is the place where you want to just kick back, relax, and enjoy. Maybe you could "tweak" that schedule just a bit to make that possible. Again, thank you everybody for all your help! Well, unfortunately we really cant extend our stay Im pretty sure Navarre Beach has to be fabulous, but we have to catch a plane. So it will definately be just one night. That just might happen with the plans for the re-building of the Holiday Inn. We really need a hotel type venue on the beach that would accommodate 1 nighters. Good Luck to you in your quest. 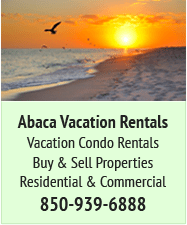 I would suggest you stay on Pensacola Beach- Margaritaville is a newer hotel -- if the beach road is open during your stay it;s a pleasant drive to Navarre with lots of wildlife to view and a short distance. 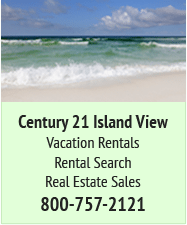 Which Florida panhandle beach is best, Gulf Shores, Pensacola, or Destin? EDITED BY MODERATOR: hot link in Signature Line has been disabled. POSTER NEEDS TO READ THE FORUM RULES. Depends on what kind of beach you're looking for. Are you just wanting to relax in a quiet spot, spend quality family time, do a lot of water sports, fish a great pier, etc., or are you wanting to partake of "the night life" in a "party" atmosphere? Gulf Shores is actually in Alabama but it is a very nice Gulf Coast Beach. All the beaches you mentioned are very nice.